As an entrepreneur, your new business faces risk on a never ending basis. This isn’t anything that’s unique to your business. Businesses and companies of all sizes face risk every day, from managing growth strategy to earning profit to product development and manufacturing to marketing, to name a few things. The simplest way to reduce risk is simply to have a risk management plan in place. 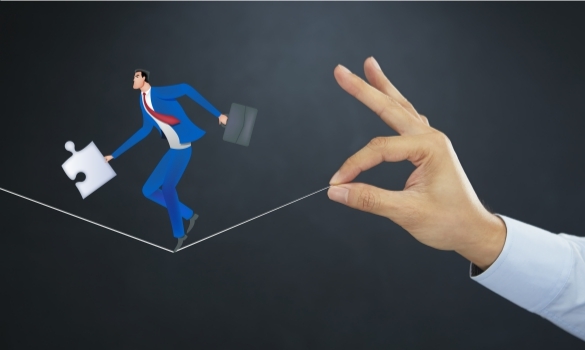 A proper risk management plan will be comprised of a list of each of the risks your business faces, organized from the most likely to least likely, have responsibility of those risks assigned to specific people or departments within your business. Then, have a plan in place for how you will handle each risk should it develop into an actual problem. Have you asked yourself what your business would do if your revenues were to suddenly drop dramatically? Would you be able to continue funding your business while you tried to get back up on your feet? This is why it’s a really wise idea to have a reserve of business funds that you can fall back on in such an event. Just as you want to have a personal emergency fund for yourself, so you will want to have one for your business as well. As a golden rule, have at least three months of operating expenses stowed away in reserve, and don’t touch it unless if absolutely necessary. It’s likely you won’t be able to not have any loans or financing, but you will want to keep what loans and financing you do have to a minimum. This is one of the best things you can do to control your company’s financial situation and to avoid drowning yourself in debt. You will save money paying for interest and have flexibility to get business working capital whenever you need it. Having various types of business liability insurance essentially means that you are transferring much of your business risk to an insurance company. Product liability, customer injury, or damage to your facility are all examples of things that could bankrupt any business without proper insurance. Your insurance may also change as your business changes as well. Make it a rule to meet at least once a year with an insurance broker to see if you should modify or increase insurance coverage in any way. Simply hiring new people or introducing a different product may trigger new risks that require new or different insurance. In the end, the main key to reducing risk in your business is simply to identify and prepare for them. As was noted above, risk cannot be avoided, but it can be mitigated through the methods that have just been described to you. You should start with a risk management plan, keep plenty of cash on hand, lower your debt holdings and buy insurance for protection. Clearly, these methods can lower risks for many businesses.